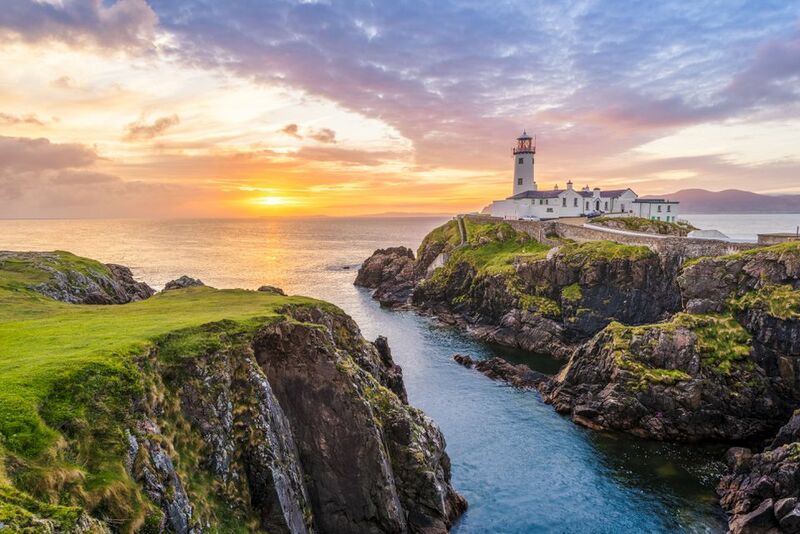 Just why should you choose Ireland as a holiday destination? Good question, especially since the Emerald Isle is known for its forty shades of green due to the extremely changeable and wet Irish weather. Irish drinks might hold a certain respect, but the same cannot be said for Irish food. Budgeting for Ireland is said to be a challenge. Rain, not overly tempting ​cuisine, and high prices... this does not sound like the ideal destination, does it? Here are some reasons why you should still consider heading for Ireland. It is true. When planning permission was granted for Newgrange, other cultures were still trying to figure out how to construct a decent mud-hut. Ireland's passage graves are a few hundred years older than the pyramids at Giza. And their cosmic alignments are no less spectacular. Plus, you will be hard-pressed to find so many large prehistoric monuments in such a small space anywhere in the world. So, get back to the stone age, unleash your inner Fred Flintstone! Wherever you are in Ireland, traditional music will be played at informal sessions. We are not talking stage spectaculars like "Riverdance", new age mysticism like Enya or run-of-the-mill standards here. We are talking about a living, thriving tradition carried forward by local musicians - the real, hand-made stuff. Dublin has been known as a favorite party destination to Europe's younger generation for some years now. And Belfast is fast catching up... but even for those not looking for the best Dublin nightspots, both capitals as well as Cork, Galway, and other major town have lots on offer. From exhibitions to parades, from ​highbrow festivals to traditional events. Slieve League is a prime example of natural wonders in a largely unspoiled landscape: Europe's highest sea-cliffs, accessible only via a winding local road (with gates you have to open and close yourself). No ticket office, no tourist facilities, just a small information sign, a car park, and miles upon miles of unspoiled coastline. Not a rarity in Ireland, but the norm off the beaten tourist track. And even those costly and developed attractions like the Cliffs of Moher are still unspoiled enough for most visitors. A lot of Heritage Towns around the world have a certain feeling of artificiality about them, looking like a stage-set created for the benefit of the visitor. Or you are hard pressed to find the heritage bits between concrete and glass. Not so in Ireland. Heritage Towns live up to their name. Sample Kells (an Early Christian monastic settlement), Trim (a medieval center of power), or Birr (a Georgian market town) as examples. Up until a few years ago, vacations in Belfast or Derry might have ranked as holidays in hell. Today, Northern Ireland is a peaceful place. And you will be amazed to notice hundreds of small differences between the six Ulster counties and the Republic of Ireland, from the local currency to the reflections of the turbulent Irish past and partition. It sometimes feels like two cultures - and it may well be that case. A cornucopia of reasonably priced opportunities for air travel to Ireland has made going there easy. And with the major airports of Dublin, Belfast, and Shannon, you can arrive quite near your intended destination too. Car rentals are widely available and safe driving in Ireland is a matter of observing a few basic rules. And always remember, the geographical extremes of Ireland are just a day's journey apart. Yes, you can find "Irish Pubs" nearly everywhere from Ohio to Outer Mongolia. But these Ersatz-Irish hostelries seem to come straight from central casting most of the time. The al Irish pubs can only be found in Ireland - from sawdust-and-spit affairs frequented by Cavan pig-farmers to those top pubs in Dublin. If you haven't had your Guinness in a pub in Ireland you have not lived... some may say. Chances are you have some Irish ancestors - if you are from the USA, Canada, Australia, or any other far-flung place where the British Empire once meddled. Explore these roots.